Just yesterday our good friend Jorge stopped by the studio to finally get his session in. 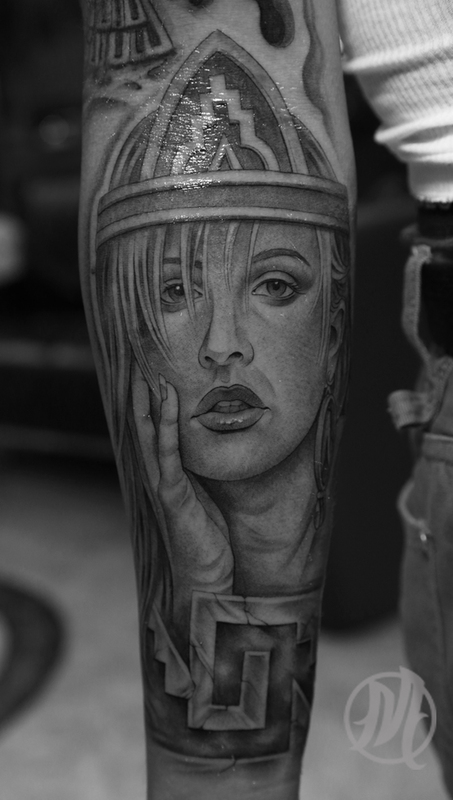 He wanted to pay tribute to his heritage through a traditional aztec princess tattoo on his forearm. I wanna personally thank clients like Jorge, who give us all in this industry Creative Control to put together pieces of art, which they carry with much appreciation and satisfaction!